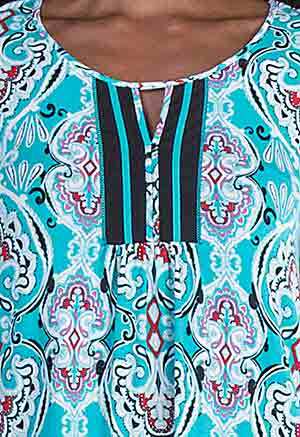 Sleep Shirts by Ellen Tracy - This short nightgown by Ellen Tracy comes in a Joyful Teal print of white, black and red on a teal background. 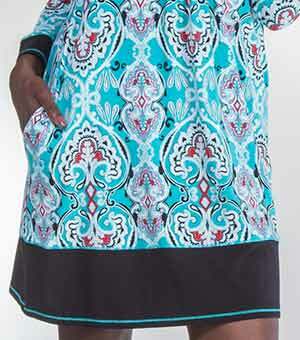 Enjoy the silky feel of this cotton/rayon/spandex nightshirt. Care instructions: Machine wash cold on gentle cycle with like colors; use only non-chlorine bleach when needed; tumble dry low, remove promptly; cool iron if necessary.